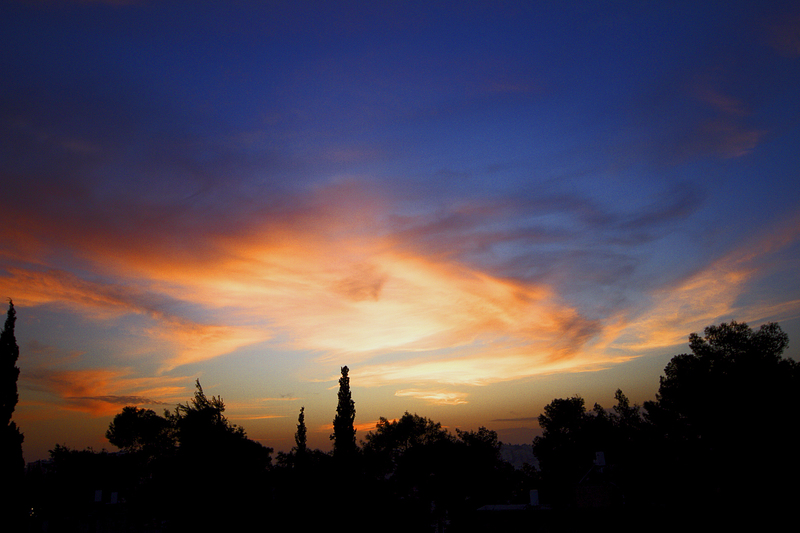 High clouds intensify the effect of the sunset over Jerusalem. It’s nicer in person. Come visit.